Since Art Nouveau is one of our best-selling categories, we've seen our clip art used in many different and amazing ways. Today, I'd like to share a tutorial from Vicki's Fabric Creations that incorporates a lot of our favorite things here at Dover- Art Nouveau, embroidery, and quilting! 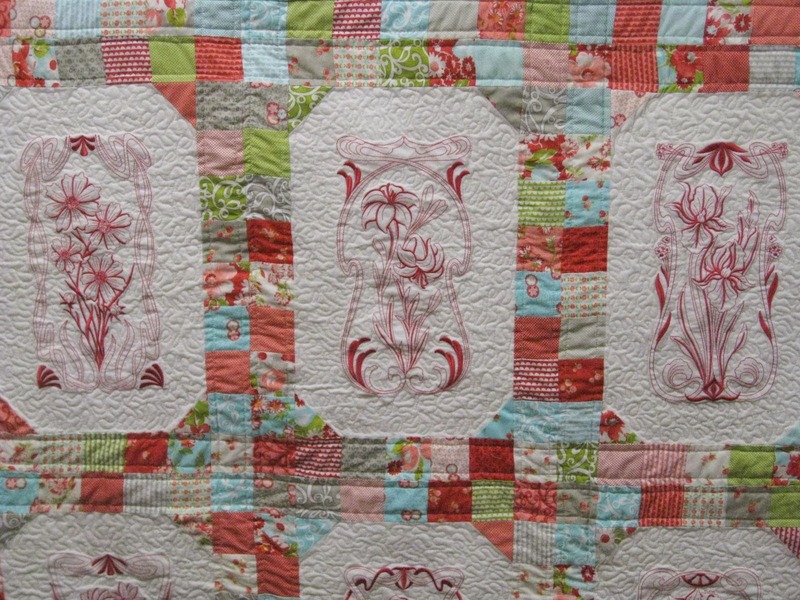 While the images in this tutorial admittedly are not ours, this tutorial should serve as the perfect jumping off point for your own unique and beautiful quilt. This quilt is beautiful!! I love Dover designs and clip art! !